Coming off his worst start of the season, Phil Hughes looks to rebound tonight against the Oakland Athletics. Sure, the five runs allowed in 3.2 innings last time out hurt fantasy owners, but it may have bought you more time with the Yankees’ young righty. While some suggest New York should be counting pitches thrown (102 pitches in his short 3.2 inning outing) and not innings, the common belief is Hughes is on an innings limit rather than a pitch limit. There is no public number, but that limit is believed to be around 170-180 innings. In 2010, Hughes has thrown just under 145 innings. That is up from the 105 (combined major and minor leagues) he threw last season. That potentially leaves fantasy owners with 25-35 innings of Hughes to work with. We don’t know if they will all be starts, or if he makes a couple more starts and then shifts to the bullpen. There is a good chance, though, that those will be above-average innings. Despite last week’s bump in the road, Hughes is still 15-6 with a 4.12 ERA. According to fielding independent pitching (FIP), which measures home runs allowed, walks, and strikeouts, he has actually been a tick better (4.02 FIP) than his ERA. His 7.61 strikeouts per nine innings rate (K/9) is slightly above average. Moreover, he does a good job of limiting walks (2.68 per nine). His home run rate is so-so at 1.18/9 IP, with some of that number attributable to his home ballpark being a launching pad for left-handed hitters. If Hughes remains a starter, you might be able squeeze two or three wins out of him in the four or five starts he has left. 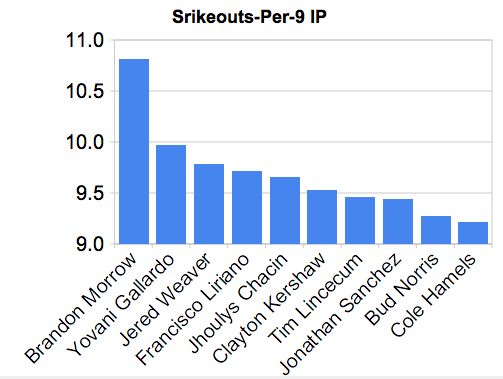 On the other hand, if he splits his time between the rotation and the bullpen, hi ratios might actually improve. Hughes did dual duty in the major leagues during the 2009 season. He made 44 appearances in relief, but also made seven starts. In his time as a reliever, he had a 1.44 ERA and struck out 65 batters in 51.1 innings. That translates into a K/9 of 11.43 – a number generally reserved for the elite. Regardless of what the Yankees do, make sure Hughes remains in your plans as we shift our focus toward the playoffs. That said, make sure you have a contingency plan as well. For that, look no further than Hughes’ teammate Ivan Nova. The 23-year-old right-hander has made four appearances for the Yankees – including two starts. He sports a shiny 1.93 ERA and his 2.89 FIP isn’t too shabby either. With Andy Pettitte injured, A.J. Burnett struggling, and Javier Vazquez in the pen, there is a chance that Nova remains in the Yankees rotation through September. Looking at his peripheral stats, Nova’s K/9 (7.07), BB/9 (1.29), and HR/9 (0.56) suggest the kid is not just throwing hard (94.1 mph average), but also pitching well. Of course, these are small-sample size number. Still, with five or six starts left this season, pitching for a team that offers plenty of run support, Nova’s a decent pickup, especially if your league is deeper than the standard mixed format. For more on Phil Hughes and other young starters facing innings limits, check out Bloomberg Sports’ Fantasy Kits. By Bloomberg Sports// Ballpark Figures: Stock Report— Bloomberg Television’s Michele Steele and Bloomberg Sports Fantasy Analyst Rob Shaw are talking Bulls and Bears in Fantasy Baseball. Shaw tells us to invest in Royals infielder Wilson Betemit, Yankees outfielder Marcus Thames, Nationals outfielder Michael Morse, and Mets pitcher RA Dickey. Shaw is bearish on infielders Alberto Callaspo of the Angels and Miguel Tejada of the Padres. For more fantasy insight visit us at BloombergSports.com. Judging by his inglorious exit from from a Los Angeles Dodgers team that sits five and a half games out of the wild card (before four other teams), one might be forgiven for comparing Manny Ramirez to chopped liver. The prevailing attitude vis-a-vis the mercurial slugger is that he’s injured too often and that at 38 years old, his offensive skills are just not what they used to be. The prevailing view is wrong on this one. Ramirez has sported an OPS over .900 the past two years in Los Angeles, showing relatively little deterioration in his skills as a batter. There’s also reason to believe that he may be able to stay healthier in his new digs. First, he’s still a great hitter. Ramirez’s walk rate, strikeout rate, and BABIP have held steady his whole career at above-average levels, making him an excellent bet for a strong OBP and batting average. Even in this ‘down’ period of his career, he should still put up a batting average near .300 and an OBP near .400 – benchmarks he’s hit more often than not in his illustrious career. These two facts alone make him an above-average real-life batter and a decent fantasy baseball option in many leagues. Power is the real question mark, admittedly. After putting up isolated slugging numbers (slugging percentage minus batting average, ISO is a statistic that focuses on extra-base hits) near .300 for most of his career, Ramirez dipped to .241 last year and has a .199 ISO this year. His positive test for performance-enhancing drugs in 2009 has been blamed for this power outage, but Ramirez still had an ISO of .204 after he returned, which would put him on par with players like Brian McCann (.197 ISO), Aramis Ramirez (.201 ISO) and Rickie Weeks (.203 ISO) this year. If a .200 ISO does not seem exciting enough, there are reasons to think he can do better in Chicago. According to StatCorner.com, the park factor for home runs for right-handed hitters in Los Angeles was 92. Compare that to U.S. Cellular, home of the White Sox, which has a 134 park factor for home runs for right-handed hitters. That is a serious swing in fortunes. In 213 earlier-career at-bats at the Cell, he’s had a .338/.448/.601 line that suggests he feels comfortable there. The last piece of optimism arises when we consider defense. Not normally important when considering fantasy baseball, Ramirez has been so poor defensively that it had begun to cost him playing time. Since defensive statistics have been kept at FanGraphs.com, he has ranked in the very bottom of the outfield defensive rankings. Only one player with as many as 350 innings in left field this year has performed worse than Ramirez, for example. With the benefit of the DH – his new full-time position – he won’t have to stumble around the outfield anymore and should get his full share of at-bats. Maybe he’ll even stay healthier without the added stress on his legs and back. Ramirez probably should have signed with an AL team before the 2009 season, but the Dodgers thought he had enough in the tank to help, even in the outfield. Now that it’s Manny time again in the AL and Ramirez is a DH, he should have enough left to help your fantasy team down the stretch. For more on Manny Ramirez and other DHs, check out Bloomberg Sports’ Fantasy Tools. By Bloomberg Sports // Ballpark Figures: Stock Report— Bloomberg Television’s Michele Steele and Bloomberg Sports Fantasy Analyst Rob Shaw discuss the fantasy baseball headlines. Shaw tells us Manny Ramirez should enjoy a bump in production when it comes to joining the Chicago White Sox. Aroldis Chapman should rack up plenty of K’s and a sweet ERA for the Reds. Brandon Morrow’s fantasy value takes a hit as the Blue Jays look to limit his innings. Jose Reyes is injured again and should not be depended upon for at least another week. Finally, Yankees rookie Ivan Nova has pushed controversy to the side with another fine outing for the Bombers. For more fantasy insight follow us Twitter.com/BloombergSports. He has been called a National Treasure by Rob Neyer, and is also the owner/manager of thehardballtimes.com. (10:24 – 11:50) King Felix for Cy Young? (11:51 – 12:43) Is Manny Ramirez enough for the White Sox? (12:44 – 14:12) Did Numb3rs “borrow” from the THT? Once upon a time, Chris Perez was regarded as the St. Louis Cardinals’ closer of the future. After a few seasons of inconsistency, a trade to Cleveland, and Kerry Wood‘s trade to the Yankees, Perez is finally closing games on a regular basis at the major league level. Perez made his major league debut with the Cardinals in 2008 when he pitched 41 games out of the pen – compiling a 3.46 ERA with seven saves. Although he struggled with walks, he struck out more batters (42) than he had innings pitched (41.2) that year. The right-hander would split the 2009 season between St. Louis and Cleveland after a mid-summer swap for Mark DeRosa. While his ERA jumped to 4.26, his strikeout rate improved from 9.04 strikeouts per nine innings (K/9) to 10.74 per nine. Walks were still a problem, but his BB/9 dropped slightly (4.33 in ’08, 4.27 in ’09). A flyball pitcher (his groundball rate was an extremely low 35.3% in 2009), Perez’s home run rate jumped to a shaky 1.26 per nine innings. Perez was slated to start the 2010 season as the Tribe’s set-up man for Wood. When Wood went down with injury early in the season, Perez was temporarily given the closer’s role. Upon his return, Wood assumed control of the 9th inning. When Wood was traded to the Yankees at the July 31 deadline, Perez was once again given the title of closer. Despite the uncertainty in roles, Perez has turned into a fairly reliable fantasy option at the back end of games. Overall, he has a 2.17 ERA over 49.2 innings. His K/9 has dropped to 8.34, no longer elite for a reliever, but still very playable. His BB/9 has dipped slightly to 3.99, a positive sign. Speaking of progress, Perez has made his greatest strides over the past three months. Since June 1, Perez has struck out 29 batters while walking 12 in 31.2 innings. During the same time period, he has allowed just five earned runs (1.44 ERA). 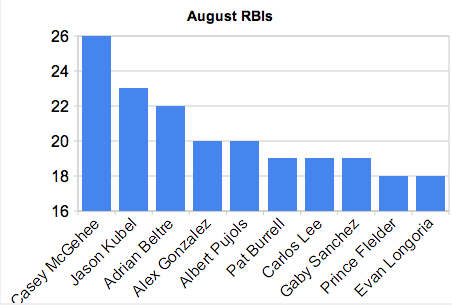 In the small sample size of August, he has not walked any batters while striking out nine and giving up just two runs. Perez is certainly not the caliber of Mariano Rivera or Rafael Soriano. And his team is middle of the pack on their best day. That said, the low ERA, the stellar strikeout numbers, the unchallenged save opportunities, and the availability on most waiver wires make him an attractive option to deep AL only owners, and those looking for late-season closing options in mixed leagues. 30.3% (for comparison, Perez’s teammate Justin Masterson is generating a 62.3% GB rate) isn’t likely to avoid homers this successfully for long. Perez’s strand rate is a higher-than-average 83.6%, while his batting average on balls in play is just .254, well below the league average of about .300. His xFIP (a stat that runs along the same scale as ERA, but also adjusts for ballpark effects, aberrant home run rates, batted ball luck, and other factors) of 4.67 dwarfs his 2.17 ERA, and shows that luck has played a big role in his success. 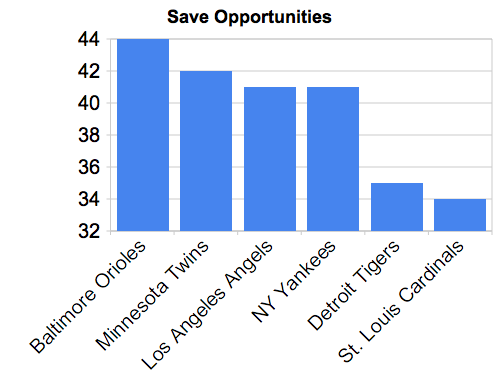 Grab the saves, but don’t expect a Mariano-like ERA forever, especially if you’re in a keeper league. 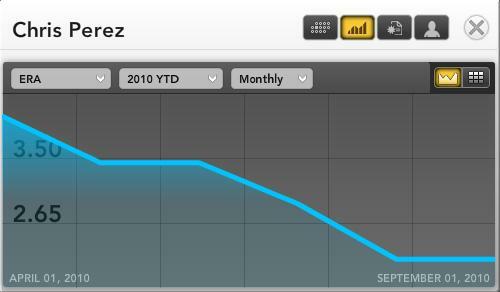 For more on Chris Perez and other late season additions, check out Bloomberg Sports’ Fantasy Kits. Some players are well-rounded contributors. They post good numbers in all fantasy baseball categories. Then, there are the players who might be strong in certain categories, but weak in others. At the beginning of the year, a player who expresses a consistent shortcoming can be a liability. For example, Ichiro Suzuki has always been phenomenal in stolen bases and average, but any team that rosters him will need to cover his lack of production in HR and RBI by rostering others who can make up for his deficits there. As the season wears on, however, the standings necessitate a different game-plan. A team owner might find he has a big lead in a certain category, or maybe he finds a big deficit. Either way, no amount of production will yield much movement. Instead, competitors who wish to earn extra points in the standings must examine the opportunities for best potential gain. This often means that competitors should roster players who are more one-dimensional. A player’s overall value during the final few weeks of the season becomes less important than contributions made in specific categories. If you’re up by 20 HR over the next team, but find yourself in the thick of a close steals race, a player like Ichiro can be a lot more valuable to you than even a superstar like Miguel Cabrera. Jim Thome is 39 years old and doesn’t play every day anymore, but he can still be an elite power producer. He’s hitting a HR in 6.27% of his plate appearances, which ranks third among all batters with at least 150 AB. The Twins have conserved their use of Thome this season because of his age and the team’s depth. But Thome’s been playing more and more as the team finds itself in a battle with the Chicago White Sox for supremacy of the AL Central, and Justin Morneau remains on the disabled list. If Thome is healthy, look for him to be in the lineup as much as possible when the team faces an opposing pitcher who is right-handed. That’s where he gets most of his at-bats, and where he does the most damage. Pat Burrell was left for dead by many after he got cut by Tampa Bay earlier this season. But he’s become an important cog in the offense of the San Francisco Giants as they fight for a wild card spot. In the past month, Burrell has been moved to the cleanup position of the Giants lineup, hitting behind three players — Andres Torres, Buster Posey, and Aubrey Huff — who do a good job at getting on base. In this time, Burrell has done his job by knocking them home 19 times. His August RBI total ranks sixth in baseball. Burrell has the skills and now has the opportunity to continue to be a great source of RBI down the stretch. Coco Crisp has been phenomenal since coming back from injury on June 22. On a value-per-game basis this season, only a handful of players have been better. But let’s focus on runs scored. Since June 22, Crisp ranks 15th in baseball with 39 runs. The 14 players ahead of him are owned in virtually all leagues. For Oakland, Crisp bats leadoff. A top position in the lineup translates to more at-bats, which is necessary when attacking a counting stat like runs. Crisp has decent, but not spectacular on-base skills. When he gets on base, though, it usually translates to a run, thanks partly to his great speed. No matter Oakland’s position in the standings, Crisp has motivation to produce. It’s expected that the team will buy out his contract at the end of the season, meaning he’s playing for a new deal. Eric Young Jr. has long been touted as a beneath-the-radar prospect who could make quite the impact at the major league level for fantasy owners. 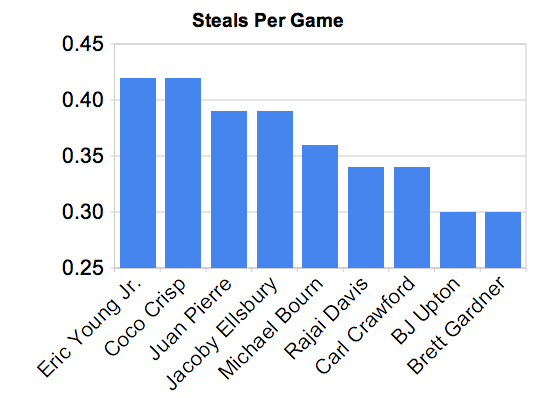 In four minor league seasons from 2006-2009, he averaged a tremendous 66 steals per season. What makes Young special is not just his speed, but also his plate discipline. During this time, he was an enormously patient batter, drawing walks and maintaining an OBP above .387 in three of those four minor league seasons. Now at the big-league level in the hitter-friendly ballpark of Coors Field, Young has carried over his skills, with 10 steals in just 24 games. Stealing .42 bases per game ties him with Crisp for the major league lead. Young is batting leadoff, qualifies at 2B and in the OF, and has been earmarked for full-time playing time going forward. Tomorrow, we’ll examine some pitching categories. Like Jason Heyward? Why not Pedro Alvarez? While some fan bases prepare for a final month of playoff races, Pittsburgh Pirates fans are nearing the end of the franchise’s 18th consecutive losing season. This means the Pirates have been bottom dwellers for the entire life span of most high school seniors. However, we’re not here to focus on the past, but rather, the future. Namely, the future of Pedro Alvarez. After years of misses at the top of the draft, the Pirates selected Alvarez in 2008. The former Vanderbilt teammate of Rays ace David Price is already a regular in the Pittsburgh lineup. Some questions remain about which side of the diamond he’ll play down the road, but for now, the 23-year-old the man at the hot corner for the Buccos. Before signing his pro contract, Alvarez and his agent Scott Boras made plenty of headlines, In the end, though, he made his major league debut with relatively little hype. Despite lacking the media coverage of Jason Heyward (to say nothing of Stephen Strasburg) upon his debut, Alvarez has been one of this year’s most productive rookies, coming close to Heyward’s level of production. Heyward has hit 14 home runs in 105 games, while Alvarez has smashed 10 bombs in just 60 contests. The J-Hey Kid is currently hitting a home run once every 27 at-bats, while Alvarez is averaging one every 21 ABs. 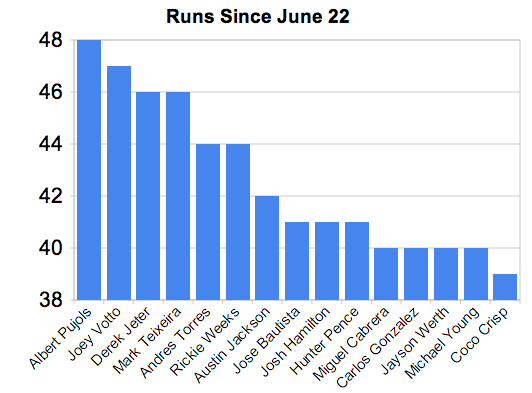 In addition to the home runs, Alvarez is doing an above-average job of driving in runs. The league average for driving in baserunners is 14%. Heyward is at 16%, Alvarez at 18%. 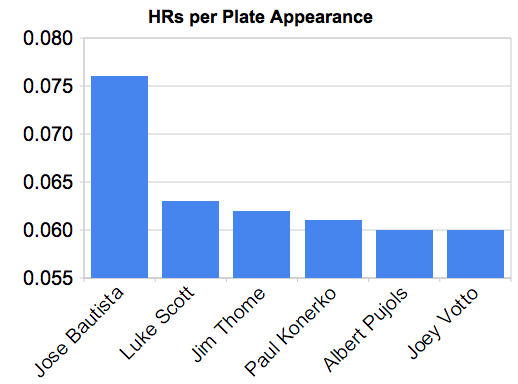 An 18% baserunners scored rate rivals that of Evan Longoria, Albert Pujols, Josh Hamilton, and Miguel Cabrera. If we were to expand his home run and RBI rate over a full season, we would be talking nearly 30 home runs and 100 RBI. 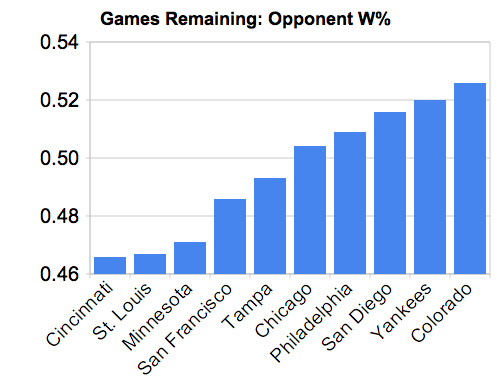 Of course, we only have about one-fifth of the season remaining, so full-season projections mean little right now. On the other hand, Alvarez could add another 5-7 home runs, and drive in another 15-20 runs over the final six weeks of the season. Going back to the Heyward comparison, Hotbox.com says the Braves rookie is owned in 77% of leagues – while Alvarez is owned is less than 5%. If you need some production down the stretch in a deep mixed or NL-only league, make sure you sneak Alvarez onto your roster before the playoffs start. For more on Pedro Alvarez and other talented rookies flying under the radar, check out Bloomberg Sports’ fantasy kits.